The Hand Held Refuse Sack Holder eliminates the familiar problem of trying to hold open and load a refuse sack simultaneously. The inset hand hold of the frame provides a comfortable grip even when carrying a fully loaded sack. The refuse sack is firmly trapped onto the frame by a flexible tubular ring. 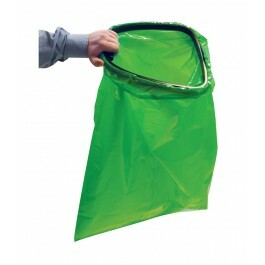 Ideal for use when collecting leaves and outdoor refuse, for use by care takers, janitors and site managers. 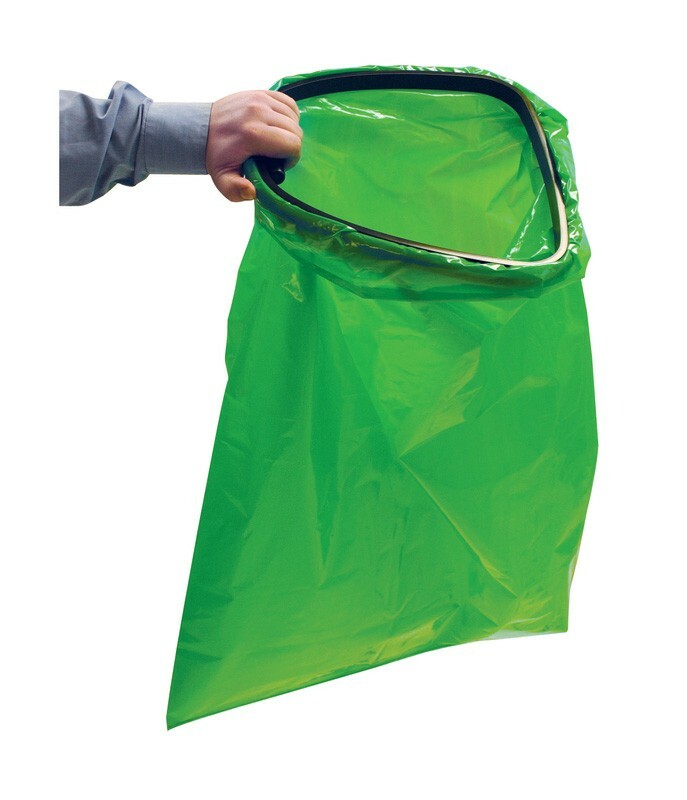 Suitable for all refuse sacks with a neck width of 600mm. Can also be used for litter segregation when recycling. Manufactured from black rigid PVC with a bag retainer made from thermoplastic rubber.